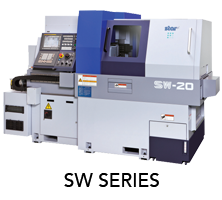 The SR-10J offers efficient, accurate high speed small diameter machining within a compact footprint. Equipped with Fanuc’s powerful 32i-B CNC control and a 10.4” colour screen this model is the ideal replacement for cam-controlled lathes. 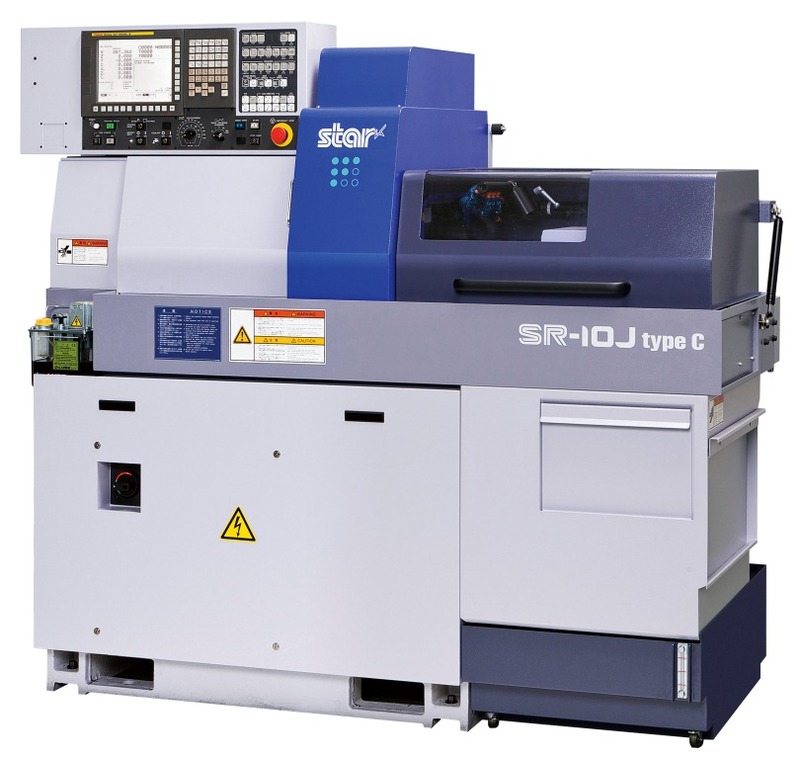 The SR-10J employs a slant-type guideway structure for the platen on the main spindle. This rigid guideway construction enables stable cutting conditions increasing tool life and machining efficiency. 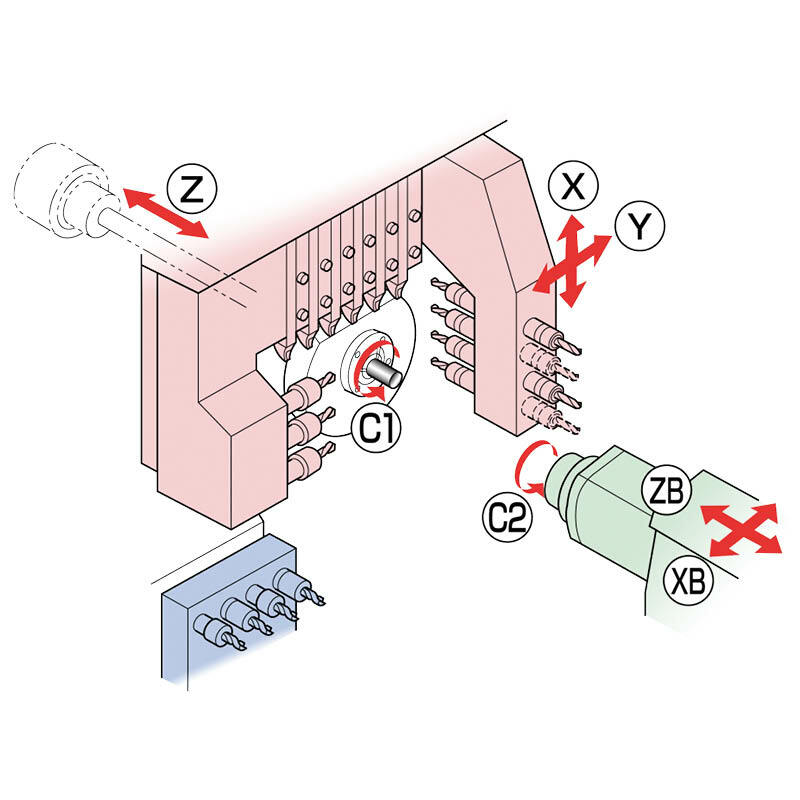 The independent sub spindle and four station back-working tool post with driven tool capability increases overlapped machining opportunities. 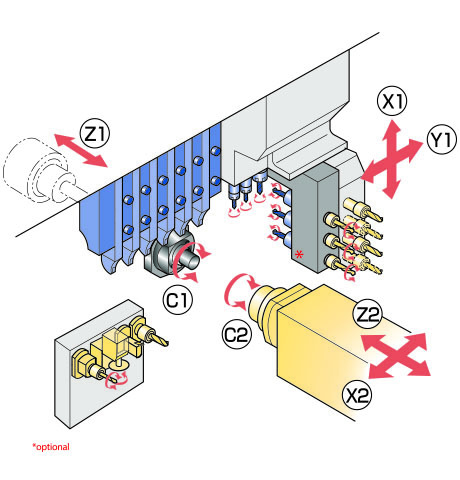 Both main and sub spindles are equipped with full C-axis control and clamping mechanisms for stable milling and drilling applications.